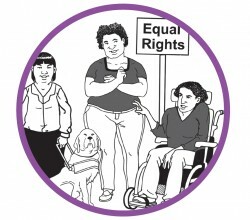 Engender have published an in-depth, much-needed report on disabled women’s reproductive rights: ‘Our Bodies, Our Rights’. 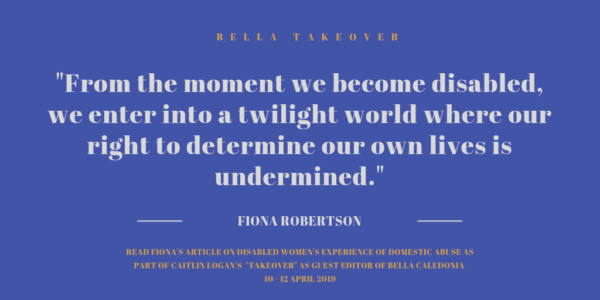 There are so many different threads of marginalisation, isolation and oppression which have a cumulative impact on disabled women and, though disabled people have known about them for a long time, academia and civil society are only just beginning to take steps towards believing us. It has taken so long because disabled people, and disabled women in particular, are not trusted. We are not considered credible witnesses to our own experiences, not considered reliable reporters of events around us, and not considered to be capable of the most basic forms of autonomy. No matter how our impairments affect us, these blanket generalisations are imposed upon us as a whole group by abled people. For women with learning disabilities or mental health conditions, this effect is compounded. 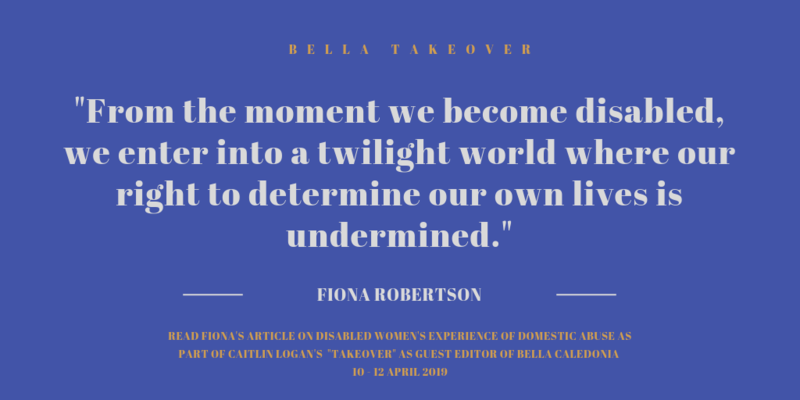 From the moment we become disabled, we enter into a twilight world where our right to determine our own lives is undermined by family, doctors, social care, charities and society at large. If we are disabled from birth, we often never have the experience of being trusted to make decisions about our own lives. We are not trusted to report our own pain, and even though 70 per cent of people living with chronic pain are women, we are more likely than men to be given sedatives than pain relief. Trying to get anyone in the medical profession to take our pain seriously often takes years, with many conditions having an average time-to-diagnosis of more than a decade – most women who struggle to get answers experience gaslighting on a massive scale, as their experiences are written off as attention-seeking or mental illness. When the diagnosis finally comes, it’s incredibly difficult to unpick that self-doubt, that belief that maybe you are just making it all up. When this is coupled with the overwhelming societal message that to be disabled is to be a burden to those around you – even the “inspirational” stories are frequently about how amazing it is that someone cares for a disabled person in their lives, rather than about who that disabled person is – we become primed for abuse. One of the comments in the Engender report comes from a woman who says she didn’t even realise she was in an abusive relationship. It’s such a familiar story, and one that is understandable when you have experienced, from all around, the ongoing grinding down of your belief in yourself, your ability to trust your own senses, and your sense of yourself as someone with worth. An abusive partner is just a natural extension of the same story we’re told by the society in which we survive. One of my first memories of being disabled is an aunt telling me that she wanted to slap me for not being visibly smiling and happy when my boyfriend was having dinner with us. I was exhausted after a family wedding, but had wanted to spend time with him so just sat next to him, holding his hand, trying to stay upright. She told me that I should be grateful that he hadn’t left me when I got sick, that my not smiling and talking showed that I was ungrateful. This narrative – that we should be grateful to our partners for not leaving us – is so very common. This makes it hard when your partner is also your carer, which is a very common dynamic. If you rely on a partner for your basic needs – food, drink, washing, moving – then your ability to express unhappiness is severely curtailed unless you are in the healthiest of relationships. Even now, with a husband who loves me and who does not treat me badly, I find it difficult to ask for help when we’re having an argument. I am lucky that I can do many things for myself for a short time, but when I was sicker it was a much harder thing to do. We call it “forced intimacy” – the necessary acts of care which involve touching, reliance, monitoring. There is a reason why a large proportion of disabled people prefer to have their carer be someone paid to be there – the power dynamics can fatally undermine relationships if you are not extremely good at communication and healthy interactions. 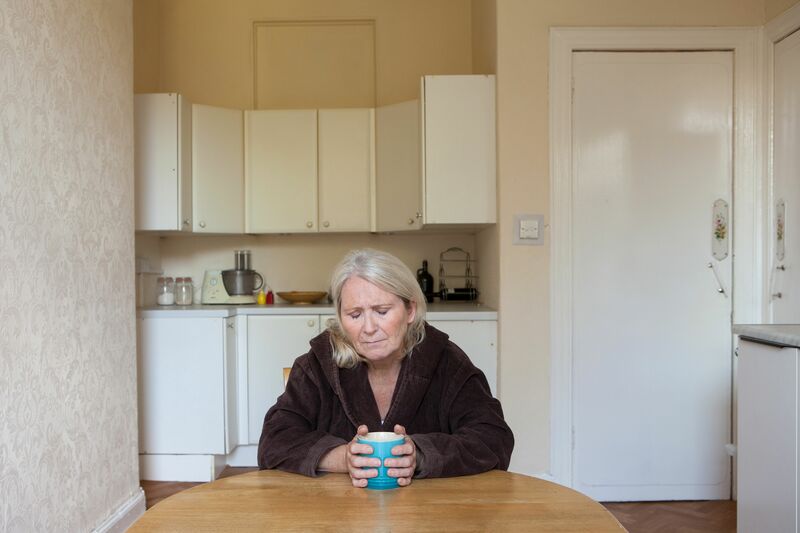 As health and social care have been at the forefront of austerity cuts, this is often no longer possible, and people are back to relying on parents or partners, with all the messy dynamics that involves. Of course, this all assumes that a person isn’t trying to be abusive – that it’s so complicated even in healthy relationships means that it is exponentially so in abusive ones. Disabled women are significantly more likely to be victims of domestic and sexual violence, and significantly less likely to ever see justice. Given what we know about how common intimate partner violence is in the general population, and how few people are convicted, this means our chances of justice are vanishingly small. And that’s just if we are able to leave. We hopefully all know that it’s never as simple as “just leaving”, but when you are disabled you have many more barriers in your way. Disabled people, and disabled women in particular, often live under extreme forms of coercive control. Some examples include having no private banking, because their partner has to be able to do banking for them; critical medication being doled out under their partner’s control, leaving no leeway for escape with enough to tide them over; and having no unmonitored access to the outside, because their partner is the person who pushes the wheelchair and they can’t leave without them. It’s difficult to run with just the clothes on your back if you need someone to help you get dressed and you literally can’t run. A disabled person’s partner is often their only avenue for social interaction, which means they don’t have friends who can help them. And on top of all of this, the partner is often lauded by friends and family as “heroic” for giving up so much for their disabled partner. How lucky she is to have someone willing to do all that for her. So what can be done? It’s absolutely critical that doctors, support services and care services become better informed, and are given the tools they need to carefully assess or ask disabled people if they are experiencing any of these issues. If they are, mechanisms must be in place to provide care. Given that disabled women are so much more likely to be survivors of sexual assault, care staff must be trained in how to provide intimate care in a way which doesn’t trigger PTSD. Most care staff are already trained in consent-driven care, but there is so much room for improvement. Shelters must make it explicit what they can and cannot provide for. If the shelter is not wheelchair-accessible, that must be made clear, but equally, it must be obvious when it is accessible. Often, disabled people will assume that a place or service is not accessible unless there are readily available explicit details about accessibility. Many disabled women living in abusive relationships might feel able to reach out for help if our needs were specifically talked about more often. If a shelter cannot provide services involving personal care or access to medication which doesn’t track back to the person’s partner (who is often on their medical notes as someone who is allowed to see their details), then don’t say you can. Our lives are often reliant, not just on escaping abuse, but also on access to critical care and medicine, so we have to know that where we’re going is set up for us. And please, please be aware of the language you use in general. Many of these barriers come directly from society’s inability to see disabled people as whole, autonomous people. So when you use intelligence-based insults, or call people crazy and therefore unreliable, it adds to the narrative that we cannot make our own decisions about our lives. Be aware of how praising someone for taking care of their disabled child or partner sounds to that child or partner – of course you should give support and encouragement, but try to remember that we have our own value too. I have lost count of the number of times I’ve been told that I’m lucky to have my husband, but can count on one hand the number of times he’s been told he’s lucky to have me. He tells me he’s lucky, and I definitely am, but it is exhausting to hear that from outside our relationship so often. We have a saying in the disability rights movement that survival is resistance. We are constantly fighting for our rights and our survival just by existing in this world. We need to support disabled women who are surviving not just society, but their relationships as well. We have been forgotten long enough. Thanks for writing and publishing this. It really made me see things differently .